The loving and tolerant teachings of the Quran and Islam have been perverted over the years by hypocrites who twist the word of God “Allah” to gain money and power. The consequences include the hateful ideology that has created several terrorist groups. This false doctrine of hate has been spread throughout the Middle East and even in America with Saudi money. The story of John Henry below illustrates the dangers and intolerance of most Islamic leaders in the US and hopefully will give you insight on what must be done to make a safer, more peaceful world. To understand this story the reader should know that there is a difference between Islam as a religion and Muslims as human beings who have their own human traditions and human civilization and history. Even Muslims are not the same. They are mainly three sects; the Sunni, the Sufi and the Shiites. The Sunni sect is the most fanatic sect among Muslims. It has four schools; the most fanatic school inside Sunni sect is the Wahabi cult and its bloody terrorist culture. The Wahabi teachings are upheld by the Saudi Kingdom. By the Saudi money the Wahabi cult is hijacking the name of Islam, controlling most of the mosques in the U.S and the West. Because of their influence in Egypt, the Quranist Muslims were persecuted. The Quranist Muslims are free minded Muslims who believe in Islam as the religion of peace, tolerance, justice, human rights, democracy and freedom of belief and speech. The writer of this article is the founder of this new trend in Islam. As a witness he gives here his story in the U.S and Egypt comparing tolerance here and there. John Henry was born on March 27, 1950 in New Jersey to a rich Anglo-Saxon American family. After successfully completing a high level of education, he worked as a diplomat and ended up working at the American embassy in Cairo in the early eighties. At the time, John had a habit of eating lunch in a nearby cafe. Not because it was the closest to his work, but because he had fallen in love with Siham’s eyes. Siham is a beautiful Egyptian who has a bachelor’s in tourism and works at the Hotel’s cafe. John would go to the Cafe even when he was not hungry and would always leave a huge tip (twenty dollars!) to get the attention of that beautiful tan Egyptian young lady. He succeeded in getting her attention and was able to win her heart. To marry her, John decided to convert to Islam and changed his name to “Sharif”. They got married in 1984 according to Islamic laws in addition to registering the marriage at the American embassy. They had a wonderful life together. Sharif, or John, was blessed with the faithfulness and dedication of Siham. They had two beautiful daughters. As John became more and more convinced with Siham’s genuine goodness and faithfulness, he decided to be a true practicing Muslim with all his being while maintaining a great relationship with his parents, siblings and the rest of his family. His family was happy for him and respected their son’s freedom to choose a wife that he loved and a religion that he believed in. When the happy family moved to America, Siham’s main concern was to have a strong relationship with an Islamic center. It was important to her to be able to impress John’s big family by being a part of a close-knit Islamic community. John also wanted to have some Muslim friends, and even though he “looked the part” by growing the traditional beard, he was not successful in making Muslim friends. John was diagnosed with cancer and spent five years fighting the disease with all that he had. Unfortunately, the disease worsened and John spent the last year of his life in bed. He would spend his time between the bed at his house and the hospital. John enjoyed looking at his beautiful daughters and his faithful wife who dedicated her life to taking care of him. Siham dedicated evlings and the rest of his family. His family was happy for him and respected their son’s freedom to choose a wife that he loved and a religion that he believed in. John was diagnosed with cancer and spent five years fighting the disease with all that he had. Unfortunately, the disease worsened and John spent the last year of his life in bed. He would spend his time between the bed at his house and the hospital. John enjoyed looking at his beautiful daughters and his faithful wife who dedicated her life to taking care of him. Siham dedicated everything she had to her husband and her only wish was to please him. It made her happy to see her husband’s smile when people asked him how he was doing and his answer in Arabic, “Alhamdulilla” which means in Arabic :” All the praises be to God”. John had one wish, which Siham could not satisfy. He wanted her to bring him a “sheikh’ or Muslim cleric to read the holy Quran for him in Arabic. He felt that Quran had a peaceful and magical effect on him. He desired to experience that feeling during his last days before he left for his journey to meet the lord, the creator of this universe. Next to their house was a big mosque filled with tens of hypocrites with beards who claimed to be professional sheikhs. None of them was able to make time to visit John and read the Quran to him. Siham returned home broken hearted with some Quran tapes. John had always wanted a Muslim friend to explain to him the meanings of Quran in English, but died before his wish was satisfied. He died before he could learn what is even more shocking about his “brothers in Islam”. John died on January 8th, 2005 and was buried on the thirteenth of that month, just a few hours before I started to write this article. Between his death and until he was buried, Siham saw a new side of the hypocrites’ cowardliness. She insisted that he get an Islamic funeral attended by his Muslim brothers, but she could not find anyone at the mosque who would listen to her. It was expected that those Muslim clerics would refuse John’s “Christian” family attending the funeral, especially with their “improperly dressed” women. More importantly, she did not find a cleric to pray for him the final prayer at the hospital or even at the house. She was confused and terrified, but her relief came from the nearest church to that mosque. The church offered to have John’s funeral the Islamic way with all the details. That was a temporary solution that left a sorrow in Siham's heart. She wanted a Muslim “sheikh,” or cleric, to lead the final prayer at the funeral according to what she and John believed in. Through a friend of ours, my wife heard the story and I offered to do my duty at John’s final prayer; this duty which those professional hypocrites refused to do. Early the next morning, my wife and I arrived at the church and waited for the person in charge. I was surprised that this person was a nice lady. This was a Protestant church where they allowed women to hold religious positions. The lady gave us a warm and sincere welcome. When I introduced myself as the Muslim cleric who came to lead the prayer, she welcomed us even more and suddenly tears started to fall from her eyes which made me feel embarrassed by her nobility and sincerity while those professional cowards resided close at the nearby mosque. The lady patiently explained to me how she planned the details of the funeral. She had two scenarios: the first, assuming my absence, in which she would lead the funeral and perform all that is needed. She had prepared a religious speech, which contained versus from the Qur’an appropriate for this event and prepared a great translation (from Arabic) of a prayer for the deceased. She was prepared to do all of that herself in case I did not attend. The second scenario, including my attendance, would be as the first scenario except my name would appear and I would have full control of planning the event. Either way, the lady had prepared a tape that contained recitation of the Quran and recorded Arabic prayers. After explaining all that to me she told me, “If the presence of the cross in the hall offends, we can cover it.” I refused and could not keep the tears in my eyes from falling. I was amazed and wondered at the extent nobility and forgiveness exists. My wife told me that this was the first time she has ever seen my tears. I said, “It’s the religion of Islamic tolerance that I believe in, but did not find in Muslims and I found it here in this American church.” This happens while the clerics in the nearby mosque curse Americans in every prayer and reside in an American land and enjoy the peace and protection of Americans! The lady insisted that I get up with her to speak at the funeral. This nobility was beyond what I could imagine, especially when I remember the story of my painful persecution in Egypt. Along with me were the Quranists (those who only believe in the holy Quran only as the only source of Islam and reject the bloody religious culture of the fanatic Muslims). I compared all that with what I saw here in this church. I got up and spoke when my turn came to speak. She started her speech with John’s life story and how he met Siham and how he embraced Islam for her sake to marry her and how wonderful their life was; how Siham made a good example of the Muslim wife and how well John did raising his children, how John was a great son and how deep his believe in God was. At last, she mentioned how John found in Islam the spiritual purity that he was searching for. She was careful to pronounce God’s name in Arabic” Allah” to insure that she maintained an Islamic atmosphere to Sharif’s funeral since he was a Muslim after all. This American tolerance made me feel so emotional that I was worried I would not be able to stay focused while speaking at the funeral, especially since I was speaking in a foreign language. To relieve myself I started asking myself silly questions, “Am I now in an American church or in a mosque? Did Muslims conquer America and convert its churches to mosques? I led the prayer for Sharif and behind me stood my wife, Siham and some of her Muslim friends, and one Muslim Indian man who was friend with Sharif. In my speech, I apologized for the absentees (and I meant those Muslim clerics in the nearby mosque) and I recited in Arabic language the verse from the Quran 49:13 “O mankind! We created you from a single (pair) of a male and a female, and made you into nations and tribes, that ye may know each other (not that you may fight each other). Verily the most honored of you in the sight of Allah is (he who is) the most righteous of you. And Allah has full knowledge and is well acquainted (with all things). Then I translated it into English. The Lord of all beings has decided that we are all equal brothers and sisters who belong to one father and one mother despite our differences, and that the Lord has made us differ in colors and languages to learn about each other not to fight and destroy each other. The interface of cultures and interaction between different people is what promotes the horizons of human minds and confirms their mercy among themselves. I said “some of us rank themselves above others based on color, wealth, power and social class, but the true classification that God uses is one’s righteousness.” The most honored in the eyes of the Lord are those who are most righteous. Righteousness is the true belief in the creator, the only one and no one besides him. It also means the consistency in doing good deeds that benefit the society and people. And to insure that no one claims that they are more righteous than others and use this claim as a means of making money and power, the Lord confirms in this verse that He is the only one who will decide who are those righteous according to their deeds and beliefs. This will only happen on the Day of Judgment, but until that day comes, let’s live in tolerance and love. Let’s embrace this lesson that we learned from this noble church which welcomed the funeral of a noble Muslim and which was generous to his family. In the second half of my speech I said “there is a forgotten Islam that is kept in this Qur’an which we can only get to know by reading it, and not translating it, in Arabic and understanding it according to its own meanings and contexts.” And to confirm this I read verses 10-13 of the same chapter, which talks about the best of behavior. At the burial, I mentioned some facts about death referencing the Qur’an, and how each of us will experience it one day without a doubt. Their attentiveness and their acceptance of my speech impressed me, and the fact that they came to thank me and showed appreciation of what they had learned that day. They appreciated me attending the service at the church and the first to come to me were the family of Sharif. His mother had cried a lot and was explaining to me how she lost her husband and another son before Sharif. Then she asked me to pray for them. After the funeral, there was a banquet at the church. The church had appointed an Egyptian restaurant to cater the banquet according to the Islamic way. The attendees were Siham’s friends at work and who ever wanted to attend from the Muslim community. I apologized for not being able to attend and I returned home to write this article. Imagine a Christian Egyptian has converted to Islam in Egypt; will his family still love him all his life? If he dies as a Muslim and the extremists deny his Islam and refuse to perform in his funeral and pray for him or even bury him, will an Egyptian church hold his funeral as an Islamic funeral? In answering those questions, I started to remember a friend of mine, Father Abraham Abdul Sayed, the most important Christian reformist in the history of the Egyptian Coptic church of the new generation. He lived estranged and hated by Father Shnoda. When he died, Shnoda refused to hold a Christian funeral for him in any Egyptian church and no one offered him any support except for the Ibn Khaldoun center and its members. Father Abraham Abdul Sayed was one of the main leaders and members of my Ibn Khaldoun weekly conference in Cairo. We are not going to discuss Christian extremism in Egypt although there is no doubt that it exists in the Christian society in Egypt, as a reaction to the Wahabis hatefulness. The Wahabis hatefulness has poisoned Egyptian culture, and has extended to murder and theft. Allowing murder in the name of religion is one of the disasters of the history of the region. It is not an Egyptian custom, but the Wahabi ideology has helped plant the seed for this bloody culture in Egypt, which was known for tolerance of other cultures and religions. This Wahabi ideology has spread with the support of Saudi money. Imagine a Muslim Egyptian who converted to Christianity, will he live respected in his country until he dies and still be surrounded with people’s love and attention, or will the fear of punishment by his people for apostasy make his life a living hell? Or at least would he be accused of “despising” the Muslim religion as a sin, a custom that was invented by the Wahabis contradicting Islam? In any way, he would surely be a guest at the national security penitentiary and would enjoy its “hospitality” which would make him forget his own name and only remember the beating and torture schedule. I remember that when they arrested me and my fellow Quranist Muslims and accused us of “renouncing the Sunna or the Wahabi belief in 1987. During our interrogation we met another person who was accused of converting to Christianity. International human rights organizations were strongly defending him while we, the Quranists had no one to empathize with us in prison or even outside of prison. The press strongly criticizes and belittles us, spreads lies about us, posts “fatwas” (religious rulings) that declare us infidels and make it okay to murder us in the name of religion. When we coincidentally met this Muslim who converted to Christianity during our trip in the national security vehicle, we were handcuffed. [Our hands were handcuffed! We, who never stole, never killed or hurt any one. The oppressors and thieves who embezzled the wealth of nations and people and those who had no respect for human rights or even human life were not handcuffed.] The man accused of converting to Christianity said, “Your case is worse and more dangerous than mine.” Verily, he was released quickly and we stayed in prison seven more weeks. Therefore I say, “Imagine a Muslim who is not a Wahabi and lives in a society controlled by the Wahabis, will he be able to practice his religion according to what he thinks is the true Islam?” The answer is demonstrated by the pain and misery of the Shiite who have been harassed and oppressed by the Wahabis not only inside of Saudi Arabia, but even in Egypt because of the Saudi influence there. This Saudi influence supported by the damned Saudi money is responsible not only for the oppression of the Christian Egyptians but also the Shiite Muslim Egyptians in their own country. And here comes the painful persecution of the “Quranist” Egyptians, which is kept in the dark inside and outside the country. 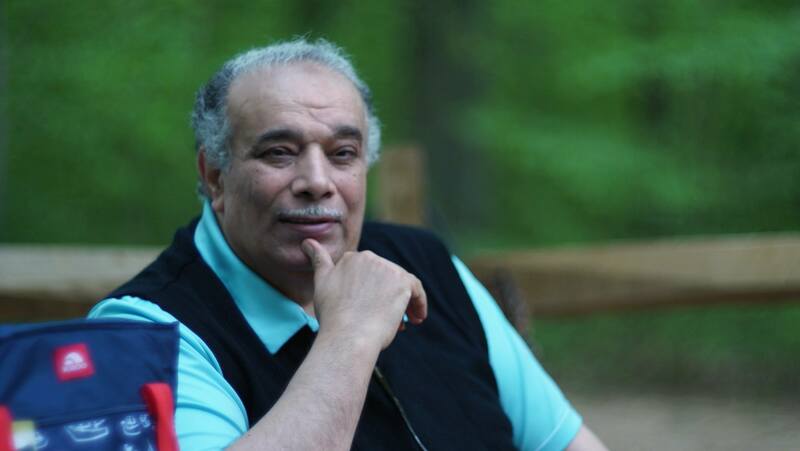 In the beginning of the eighties, I was the first speaker for the “Islamic Invitation to Truth” organization, which is a moderate Sunni organization, led by its creator, my friend at the time, Dr. Sayed Rizk Altaweel. Dr. Altaweel is a professor at the Al-Azhar Islamic University; the most powerful seminary in the entire Muslim world. He wrote the preface to my first book “Al Sayed Al Badawee between Truth and Superstition” in 1982. In his preface, he praised my patience in the face of Sophist oppression inside and outside Al-Azhar University at the time. Saudi Arabia was supporting this organization and built a marvelous mosque for them in the most prestigious neighborhood in Cairo. The organization published a monthly magazine called “Al Huda Al Nabawee” (guidance of the prophet). During Dr. Altaweel’s absence, when he was in Saudi Arabia teaching, his brother was the acting president. However, I had managed the organization and my younger brother, who is now a professor at Cairo University, shared this responsibility with me. Also, Dr. Abdul Quader Sayed Ahmad, who was the chair of the college of pharmacy at the time, had helped in this mission. We worked as volunteers without compensation. At this time I was busy reviewing the Sunni ideology and comparing it to the Holy Qur’an. This is why I refused to travel and work in Saudi Arabia despite their strong demand for me and the popularity of my book “Al Sayed Al Badawee between Truth and Superstition” and my irrefutable facts about the Sophists from within their own ideology and culture. My research had reached a point where I renounced the “the intercession of the prophet Mohammed in the Day of Judgment.” (Sunnis Wahabists believe that the prophet Mohammed will be asking God on the day of resurrection to forgive the sins of those who embraced Islam). My research had also guided me not to rank Mohammed above other prophets in importance, and to believe that he was a human being who did many mistakes and was blamed by God. I declared this in my books, which I taught to my students at Al-Azhar University. I also declared this in my speech at the mosques of the “Islamic invitation to truth” organization which spreads from Cairo to many towns in Egypt. This generated discussions among members of the organization and those who attended to the congregation, which led to acceptance and added many believers in those concepts. Dr. Altaweel returned from Saudi Arabia and with him he brought oil grants to preachers; 700 Egyptian pounds for every preacher at the time. Quickly after that, an urgent meeting was held for all members of the organization to question me. I was surprised to see the strong attack on my new views by the same people who had earlier championed my views and supported them. I later understood what had happened. Al Azhar University had decided to suspend my employment, stop payment of my salaries and pension, stopped my promotion, made it illegal for me to leave the country, confiscated all my books and recommended that I be investigated. I submitted my resignation without being sorry for leaving such an organization where people can be bought for 700 Pounds only. And so they rejected me and my friends from their mosques and their organization. This was the beginning of the Quranist Muslim trend and their persecution . Later, my father-in-law Mohammed Al Baaz, who is no longer alive, built a mosque in Al-Ebrahimia City so I could speak to the public and continue my mission there. The opening ceremony was huge. I used to travel there every week from Cairo, to speak at the Friday prayer and then perform the prayer. My family members, who lived in a village called “Abu Hareez”, attended the prayer with me because of the short distance to their residence. However, national security, Al-Azhar University personnel, and the extremists were after us. They were creating problems to make our lives miserable. After my father in law had died, they confiscated the mosque and claimed it property of the public with the purpose of exiling me. This is how they exiled my family and me from a mosque that we built to pray to God in. We later started performing the Friday prayer in our houses or our offices until an opportunity presented itself for us to pray in a big building on Ahmad Orabi Street in the Dukkee neighborhood in Cairo. We were thankful to find a place to pray in quietly and away from conflict. However, this did not last long as the workers in that building received warnings about us. To avoid conflict we left the place thankful to its people for their hospitality. Later, a friend found a mosque under construction. A single person was managing the construction and was collecting donations and led the congregation during the prayer. The mosque was in the most prestigious area in Cairo facing the Nile. Those attending the mosque were from the elite: ambassadors, the wealthy, Saudis and others. Donations to the mosque construction were extremely generous in efforts to make the mosque stand out between the nearby casinos. Those attending the mosque complained about brother Fawzi as he didn’t possess any knowledge in religion but still was the speaker on Fridays and led the prayers. Thus, the solution for everybody was that I speak on Friday prayer instead of Fawzi. This was a huge opportunity for us that we were going to use wisely so that it lasted. Therefore, my speech was incremental in delivering the ideas step by step. My speech would call for the understanding of the Qur’an, and the importance of making it the source for any issue. This was based on the freedom of the listeners to accept or reject the ideas. When I presented some of the controversial issues, a man stood up and contradicted me. Fawzi who was “in charge of the mosque” took the man aside and gave him some of my banned books and asked him to read them first and then express his opinion. The following week the same man came, he was a very educated engineer, and he stood up and praised my books and apologized for what he had said. From that day, he became loyal to us until he died. Every Friday, I led the prayer and then I returned to my apartment in Cairo. I did not know what was happening at the mosque and what Fawzi was doing. He was in charge of everything, but my presence at the mosque made it more popular, especially because some of the attendees were journalists. At the time, I had started going into deep discussions that presented the Quranic view on controversial issues. Then reaction would come from the press in Cairo. This attention resulted in an increased number of people who wanted to attend this mosque which meant more donations for Fawzi. Fawzi strongly refused to make the mosque a public institution and made sure that construction never ended. He refused, in front of me, an offer from a group of wealthy people to take on the construction project at no cost to himself. Fawzi wanted the mosque to stay in the “construction phase” to keep the thousands of pounds in donations coming to his pocket. Some people wanted me to intervene. Most of the new and huge donations came because people thought that I, not Fawzi, was the one in charge of this mosque. Fawzi stayed away from the spotlight on Fridays, as he was busy monitoring the donation boxes. I refused to intervene and confirmed that my mission was only to speak and educate on Fridays. When I insisted that I would not intervene, people revealed the truth to me, which made it impossible for me to continue to go to this mosque unless I stood up with the others to correct this issue and purify the mosque from Fawzi. They showed me his criminal record. They said that he used the mosque at night for indecent activities, that he facilitated prostitutes for the Saudis who attended the mosque and that he collected donations from them for the sake of being pardoned of adultery. He also charged them for his other nightly services. He bought huge farms in “Al Ismelia” desert from donations that he collected. I was shocked by what I heard and decided to leave that mosque, and that neighborhood. After that, our friends found a small piece of empty land in Cairo. They asked me to come pray with them there. From our small donations, we started making a fence around the land and filled an application to establish an official league that could coordinate the needs of the mosque legally. So we started to perform the Friday prayer there and we insured that we maintained our independence by financing the construction ourselves. Some of us helped financially and some with labor and hard work. Slowly, what was just an empty land and a fence became walls, doors, windows and a complete building. A sign was erected. We called it “Al-Furquan Mosque”. The Quranists heard of this mosque and started to come from Cairo and surrounding areas to attend the prayer there. The people of the neighborhood were peaceful and did not bother us until the extremist devils intervened. We were surprised with extremist groups invading the mosque and calling against us. At the same time, the office of national security refused our application and kept the list of names of those in the application so they could arrest us. I sensed danger so I left the mosque, which was later invaded by the extremists, who exiled us from this last mosque, which we had built with our own hands. My abstinence from attending any mosque defeated their plan. They were planning a war between the Quranists and the extremists that would result in my death or at least they would have an excuse to arrest us. When we left the mosque, they came up with another trick. They used some of the people of the neighborhood. They came to my home and begged me to attend a debate at the mosque and guaranteed my safety. I attended the debate and some Quranists also attended to defend me. The debate started with a scholar from Al-Azhar. He stood and started in with the usual boring cliches. My turn came and I defeated him using the Quran and their tradition too. Then, we were surprised by an offensive move from the young extremist men wielding their weapons. The mosque was full of building materials that we had bought and stored away. When the clashes started, a group of the Quranists quickly rescued me and sent me home in a taxi. The other group of the Quranists stayed at the mosque and gathered the steel rods and wooden posts, to be used as weapons. The extremists found themselves fighting against men who did not fear death, so they retreated. The funny thing was that when the “Today News” newspaper mentioned this incident shortly thereafter, they reversed the events. They claimed that the Quranists were the ones who fled the battle. In any case this did not change what had actually happened. This was a fabricated story used as an introductory step to our arrest and exile from the mosque, which we built with our own hands. This mosque still exists but they have changed its name to “Al-Furquan and Al-Sunna” mosque. “ Al Furquan’ is the another name of the Holy Quran. Since the nineties, I stopped going to any mosque and just prayed at my home in Cairo with my friends. I rearranged the top floor of my house in the village to be suitable for performing the prayer. My family would celebrate every time I went to see them in their small village. I went there every month. I made sure that every time I went there was on a Friday so that we could pray together; all of the family members, men and women, boys and girls. Some of them were my direct cousins. My grandfather was married to four women and had sixteen sons and daughters who eventually had more than one hundred children all together. Some Quranists would come and pray with me in my home in Cairo on other Fridays. I couldn’t imagine what to say to my people and family every time I went to see them. If I were this gangrenous, why wasn’t I arrested instead of my family and supporters? It was clear that the extremists’ purpose was to stop me from going to my hometown and to prevent me from meeting my family and people. The officials made sure to dismiss some of my family members after they had been arrested. They were sent home in the middle of the day with their faces swollen from the beating and torture that was used to humiliate and terrorize them. This made it public knowledge that if you are a follower of Ahmad Mansour this is the punishment for you too. It was the right decision for me to stop seeing my family fearing for their safety and because I loved them and did not want them tortured. The torture did not stop easily. I had complained to the minister of interior and other high officials. Despite all of that, I could not attend my uncle or my aunt’s funeral. Then Dr. Saad Al dein Ebrahim was arrested. He is the owner of Ibn Khaldoun Center in Cairo, and the famous leader of the call for democracy and human rights in the Middle East. I used to work with him for five years as the second one in his center assisting him by Islamic insights. Arresting Dr. Sa’ad and shutting down Ibn Khaldoun Center, I was expecting to be arrested at anytime. I communicated to my friends, brothers, sisters and other family members in Cairo not to come see me and not to pray with me on Fridays fearing for their safety. I closed the door on myself and waited for the unknown. Soon came the news about the arrests of some of my old Quranist friends, and some of those who attended the prayer at my home in Cairo. Al-Ahram newspaper published all of this since October 2001. Later, I was being asked to go to the office of national security for questioning. I decided to escape. The Lord has blessed me by giving me the opportunity to come to America where I can pray in my house without fear or terror. God bless America! I am the only Quranist who came to America and enjoys the tolerance and peacefulness of its people. On the other hand, my family, relatives and brothers in Islam are still under the siege of the extremists. When I came to America I went to the nearest mosque, but found it to be extremist and fundamentalist. I later learned how those extremist control the mosques and the Muslims in this country. Not only did they steal the name of Islam while being its worst enemy; they also violated the American tolerance and acceptance of freedom of religion and expression. They used the freedom of expression to fight America in their mosques and the -so called-Islamic schools. They took advantage of the name of Islam and the freedom in America. Can you imagine anything more cowardly than this? America opens its doors to them and gives them freedoms that they didn’t have in their countries. They enjoy the opportunities, good living and technological advances but curse this country day and night. When one of them is caught red handed of some crime, they find that the American justice system is on their side, the media watches closely but remains neutral and human rights organizations stay on alert and insure that they get humane treatment. Human rights organizations view America as the gold standard for their superior record regarding human rights issues. We, in the Arab nations, still have not known or experienced this standard and never have throughout our history. The same incidents that the media here regards as violations of human rights are considered a gentle “tease” in our countries. However, our media sensationalizes news stories and blow things way out of proportion and accuses America of being evil. They forget the oppression, humiliation, corruption and extremism, which they live under but choose to ignore. Here in America, I hear a lot of ugly stories about mosques and those people who run them, so many stories that the subject deserves a separate article unto itself. I will quickly highlight some points: Donations such as boxes of clothing that are given by non-Muslim Americans and churches are collected under the direction of the extremist clerics. They are later packaged in huge warehouses and shipped to Middle-eastern seaports, especially Alexandria’s seaport in Egypt. Once there the cleric’s helpers receive the product and sell it and deposit the funds into their own accounts. Therefore, we should forgive them. In between all this hard work they don’t find time to perform the prayer at John Henry’s funeral and don’t find time to help the less fortunate Muslims and Arabs that attend their mosques. One of these unfortunate people was my Jordanian friend who was arrested for violating his visa terms along with other issues related to errors in his passport. He needed to pay a huge sum for his bond to get out of prison. Despite the fact that he attended that mosque, the evil clerics refused to help him. He remained in prison until his Christian American boss paid for the bond. Another friend of mine, whose wife had cancer, could not find any one to help him among his friends at the mosque. When his wife died, he asked the mosque to buy a piece of land for her grave (those clerics engage in the business of buying and selling grave land to Muslims from the land which was given to them by the church at the local cemetery). The man handed them a check for the grave, but they refused to take a check because they only accepted cash. The man did not have cash because it was a weekend and the bank was closed. All this did not matter to the clerics and they did not allow him to have the plot until he paid them cash money that he had to borrow from some friends. 1- Islam means submission in dealing with God and peace in dealing with people. It is your freedom of belief in dealing with God but any peaceful one is Muslim according to his peaceful manner regardless of his belief. No human has the right to judge another human regarding their faith and beliefs; otherwise, the person doing the judging is claiming to be God. Every person has the absolute freedom to believe or disbelieve in this conceptual Islam and every one will be responsible for his or her choice in front of the creator on the Day of Judgment. As a Quranic people we consider any peaceful person our brother or sister in Islam regardless of his belief. Our enemies are the terrorists and the dictators and all those who persecute and kill the peaceful humans and violate the human rights. 2-According to the Qur’an a Muslim woman can be married to a Christian, Jew or Buddhist as long as he is peaceful and doesn’t harm others. What is forbidden is the marriage to a nonbeliever, meaning a transgressor, whom engages in war with peaceful nations. The houses of God (churches, mosques, etc.) must be respected and protected from transgressors. This protection is one of the meanings of Jihad in Islam according to Qur’an (22:40). 3- It is my belief that the traits of Osama bin Laden and his followers along with the dictators and the tyrants are exactly those of infidels, those who transgress against other people’s beliefs and behavior. Here I speak about known actions and use the great Qur’an to evaluate them. I am not speaking about specific individuals but about their actions and traits. Those who are still alive have the opportunity to repent to their Lord. 4- What Wahabism is doing today has exceeded the transgression of the enemies of the prophet Mohammed or “Quraish” in the medieval ages when they falsified the religion of Abraham. The Quraish used to worship idols and saints and made them holy because they believed such things made them closer to God. Wahabism is falsifying the same religion of Abraham and Mohammed by idolizing the prophet Mohammed, his companions and other Imams and sheikhs. There are no saints or idols beside God in the real Islam. Making them holy comes from ranking these individuals above criticism or questioning. According to the Wahabism it is against Islam to discuss the Wahabi saints and Imams. Can a Wahabi say that Ibn Abdul Wahab lied about something or even made a mistake? Can a Wahabi criticize Ibn Taimia, Ibn Hanbal or even Abdul Aziz Al Saud the founder of the Saudi current kingdom? In the time of the prophet Mohammed the Quraish used to control Mecca and the Kaaba (the holy site of the black stone where Muslims go for pilgrimage). The Quraish oppressed those who believed in God alone, prevented them from the pilgrimage and allowed pilgrimage to sites other than Kaaba. And so does Wahabism in Saudi Arabia by promoting pilgrimage to another site (claiming it to be the grave of the prophet Mohammed) thereby inventing a religious act that was nonexistent when the prophet was alive or even until a few centuries after his death. (What I mean here is visiting the grave of the prophet Mohammed during the pilgrimage trip.) In the meantime, Saudis control the pilgrimage according to their politics and allow some and deny others and convert the pilgrimage of Islam to a moneymaking event. The Quraish used to oppress the first Muslims, torture them and forbid them from entering the mosques as it was mentioned in the Quran (2:114). The Quraish used to mention the names of their gods and holy saints in the mosques and they almost killed the prophet Mohammed when he objected to mentioning the names of other idols besides God in the mosques. (72:18-23). Due to the Quraish’s transgression and their controlling the mosques, the Muslims had to emigrate twice to Ethiopia and then to Madina. Wahabi Saudis also oppress their religious opponents. They forbid the Shiite from attending their own mosques and force them to attend Wahabi mosques where Shiite teachings are criticized and the peaceful followers of this denomination are called infidels. The Wahabis are also after the Shiites in Egypt where they oppress their opponents using their oil money to spread their evil extremism. My Quranist people also suffer from this religious oppression. I found myself along with other Quranists to be the victims of such oppression; unwanted, hated and discriminated against. We left their mosques, but they followed us, supported by the authorities, in order to expel us from mosques that we built with our own hands so that we could worship God alone and not worship idols or people. We respect the right of every person to worship the way they believe in or not to worship. While Quraish in the time of the prophet Mohammed had remained silent about a group of the early Muslims who used to secretly gather and pray at the house of Al-Arquam to allow some passive tolerance, the evil Wahabis use torture to prevent some peaceful Egyptian families from praying together in their own homes. Is there an act more evil than this? What do they want from us? What is their concern whether we pray the Friday prayer or the noon prayer? Whether we recite the traditional “Al-tahiate” or the 18th verse of chapter 3 in the Qur’an? “There is no god but He: That is the witness of God, His angels, and those endued with knowledge, standing firm on justice. There is no god but He, the Exalted in Power, the Wise.” (3:18), what is their concern with the way we pray to our Lord who will judge us and them on the day of resurrection? What is their concern with us even if we never prayed in the first place as millions of Muslims do not? This article could be lengthier if I attempted to present the similarities between the actions of the Quraish and the actions of the Wahabis. In a later article I will elaborate further on this subject. I end this article with what caused my tears to shed at John Henry’s funeral and which has confirmed to me what I have felt since I fled with my life to America. Today, Islamic tolerance and noble Islamic behavior exists in the American people while those traits have disappeared in the Egyptian people who once were famous for their tolerance and their love for peace. This happened because the Wahabis poisoned their minds. I cry for Egypt....for Islam, which has become estranged and hated.